> Must-See Areas in Southern Africa. 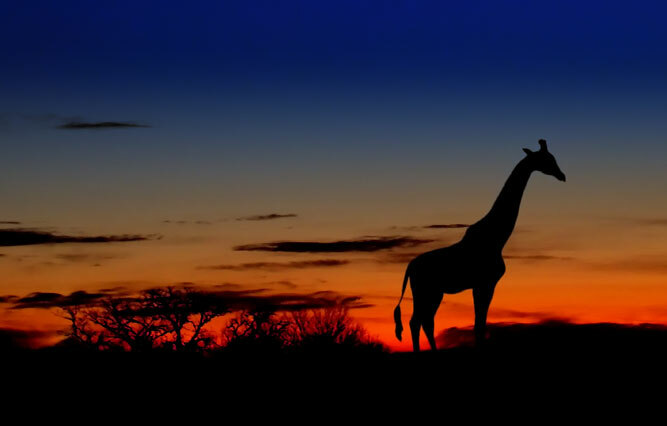 We might be slightly biased, but we think that Africa is one of the most beautiful continents in the world. With vastly different natural scenery (from rugged coastlines, sandy beaches to striking bushveld), there is a plethora of breathtaking things to discover. Whether you’re travelling from abroad or local to South Africa, there is a huge range of amazing things to do and see. We’ve put together a list of our must-see experiences that should be on everyone’s bucket list. Of course, these are just our favourites but if you have any others to add, why not connect with us on Facebook or Twitter and let us know? The Storms River Mouth is noted for its spectacular coastline and the best way of discovering this beautiful area is by foot. You can walk across Storms River mouth by footbridge and we recommend taking your waterproof camera – this is a sight that you will want to keep with you forever! Part of the Garden Route and set within the Tsitsikamma National Park in the Eastern Cape Storms River Mouth is just where the river meets the Indian ocean. The waves are spectacular and lush green forest makes for a beautiful natural contrast. Known as the soul of the Zulu Kingdom, 'Ukhahlamba', Drakensberg owns some of the most beautiful views in the world. A place of visual history, diverse biology and sheer beauty. 'The Dragon Mountain', as it is known to Dutch Voortrekkers, is split into four valleys each of their own character and attraction. The 243,000 hectare region has been preserved for eons since they were roamed by the bushmen or San people. Paintings can still be seen on rock faces depicting daily life of past habitants, hence the park being announced KwaZulu-Natal's second World Heritage Site. Not only is the view something to tick off your bucket list, but the mountains themselves have to be attempted. Some fearless action-hunters may go hard and opt for raw rock or ice climbing, or those adrenaline junkies may rush to abseil, white water raft, or both! For the slightly more, but not too so, faint-hearted, breathtaking views can be experienced from safely inside a helicopter, to see the Drakensberg mountains from an aerial view. Walking at a leisurely pace along the many hiking routes is also a great option, where you can keep an eye out for the rare plants, exotic birds and mammals you may never have seen before! Unspoiled by human developments, the five islands that make up this archipelago are a paradise undiscovered by tourism. Mozambique is distinct from Southern Africa in it's fruity blend of Portugese, African and Arab cultures, it's a sun-worshipper's coastal heaven. Action-enthusiasts, do not fear - topping up a tan isn't the only thing to do here; the waters are a dream from snorkel and scuba divers. Just one BIG must - get there quickly before everyone else does! A drink from 3,000 metres above sea level. No, it's not the world's longest straw on top of a cliff. It may be even better. Africa's highest pub is found at the top of Sani Pass, which driving on is something to experience in itself due to the unbelievable sights. Located in the western region of Kwazulu-Natal, the Sani Pass connects the borer of Lesotho and South Africa. 9 kilometres in length and with steep gradients, it is a challenge for even the most experienced dirver. Once you reach the top, a stop for a drink is a must and you can have as many pints as you want now that there's a Mountain Lodge up there! Rock climbing up Table Mountain. Reaching the top is a bigger reward than you could dream of, whether you wish to bask in the spectacular views of the city of Cape Town, or cool down in the indigenous forest. If you don't want to rock climb, you can take the cable car and wave at those crazy people clinging to the mountain! These are just a few of our must-see parts of Southern Africa. Whether you’re looking for adventure or simply want to take in the beautiful views that our continent has to offer, then these are a great place to start.